Modal popups are used pretty frequently on the web. Some popular uses of them include driving newsletter signups, displaying notifications/alerts, and handling register and login forms. You can click here for a live demo of the finished product. Now, let’s get started on building this! Let’s start with the markup for the modal. We have three different components here in the markup. First we have a simple button which, when clicked on, triggers the modal to open. Then we have the modal’s parent container which houses the modal. Finally, we have the content that will go inside the modal, plus a close button. To keep things simple, the only actual content inside the modal is an h1 tag with some text. These are the styles we will apply to make our modal look nice and pretty. The styles here should be pretty simple, but here’s a great class on CSS if you need a refresher. Let’s break down what we’re doing. The styles for the modal class makes it so that it creates a semi-transparent dark background color behind the modal when it is active. We stretch it to 100% width and height and set its visibility to hidden so that it doesn’t appear. 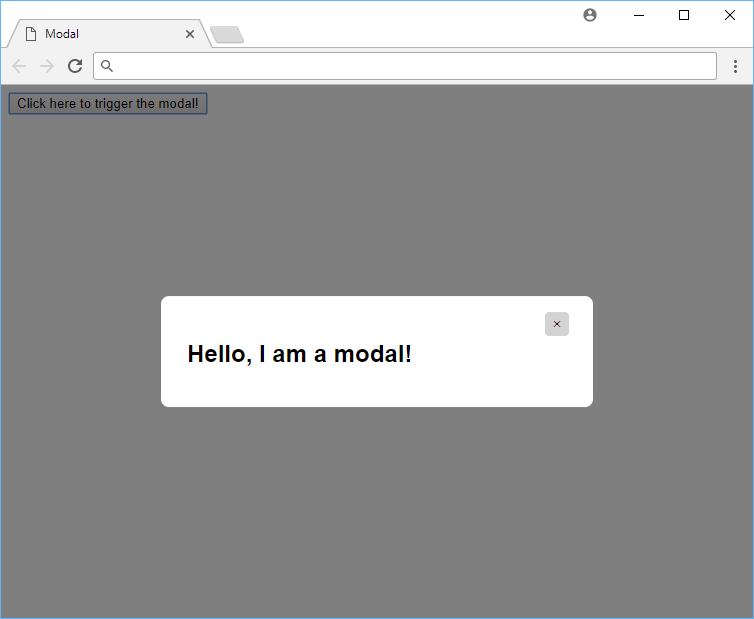 Then with the modal-content class, we position the actual modal in the center of the screen, with some visual goodies like a border-radius and some padding. To allow us to close the modal in an elegant way, we have a close button that is just a nicely styled X button at the top-right corner of the modal. Finally, we have our class that handles styling the modal when it is opened. 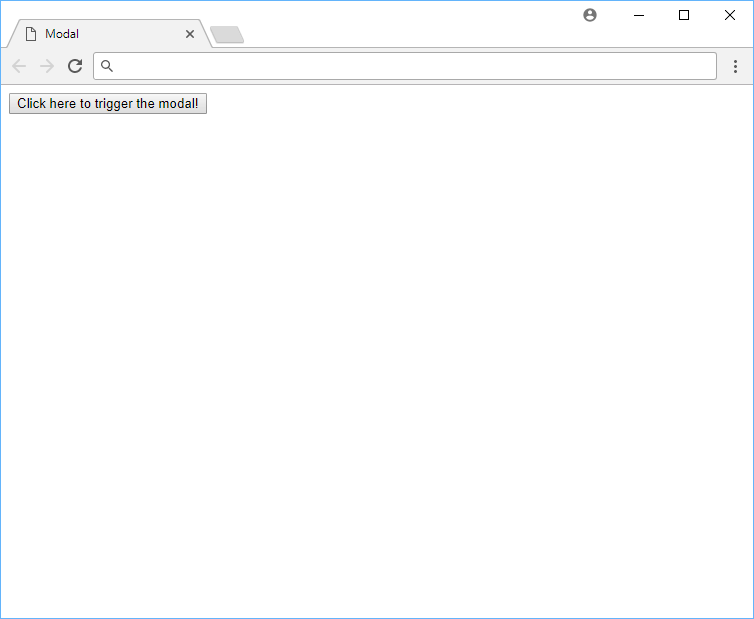 When the trigger is clicked, we want to show the modal. When the close button is clicked, we want to hide the modal. When the dark background is clicked, we want to also hide the modal. Great! Now if we were to press the trigger or the close button, the modal should smoothly animate between the states. It’s all about the pretty animations.